I’m a freelance writer, which means I get paid to wake up and write everyday. I write in my dining room, sipping a glass of cold brew coffee over ice, my goldendoodle Kaia laying under my chair. I often wake up at 9AM and it’s okay, because no one is breathing down my neck. I get to research things I’m interested in, and people actually pay me to write about them. Being a writer definitely has its perks. But then there are the hard parts, the dark parts, the parts every writer experiences but few enjoy sharing. I’ve wrestled with the pain of being a writer who thrives on social connection. How do I do both? I’m still figuring that out. I hope that eventually I’ll be able to teach writing just as much as I do writing, that I’ll get more collaborative writing assignments. Until then, I have to intentionally make social time a vital part of each day. I try to call at least 3 close friends a week and have long, thoughtful conversations with them so that I don’t get completely lonely and depressed. Those conversations keep me going. I also try to do writing that involves interviewing and learning from others. As writers, we have to intentionally connect with other people. It’s not an integral part of our work. And that’s hard sometimes. I’m writing a soap opera series for one of my clients, 42 Dubonnet. Unlike with the writing I do for my other clients, this is a creative project completely driven by my own imagination. Sometimes I wake up with every intention of writing another episode of The Adventures of Delilah Dubonnet, but my head junk gets in the way, and I just end up sitting on the couch and reading all day. With my own blog, it’s also a challenge to push myself to write new and creative things. I will often think of a blog post idea and then immediately dismiss it. I will think, “No one will ‘get’ that.” Or “Who am I to write about that?” Then, instead of pushing through the haze and writing anyway, I let my own fear keep me from putting words on the page. But when I do trust my voice, when I do push through and write something original, it feels really, really amazing. Have you ever had a brilliant idea for a blog post, writing project, or email, and then thought, “Let me just see if there’s a ‘right’ way to do this?” Then you probably went into the endless hole of the Internet, reading about all of the ‘proven’ ways to write a ‘successful’ post. 6 hours later, you resurfaced and realized you never wrote anything. Unfortunately, Internet marketers know you’re afraid. They know you want to do it ‘right.’ And they’re all too eager to share what they’ve learned to save you time and effort. But following someone else’s process is a great way to lose your own voice and to join the crowds of people who sound the same. When I started my blog, I wanted to help people find their voices. But then, without even meaning to, I got swept up in the wave of people teaching other people how to blog. It was so easy to follow the crowd instead of digging down and staying true to what I wanted to write about. The bottom line? If you have a thread of curiosity in your heart, let that propel you forward. Don’t lose yourself in other people’s “best practices.” What’s best for them may not be best for you. Everyone in my family works in a helping profession. My dad is a divorce lawyer who also counsels his clients. My mom worked as a social worker with foster families for over 40 years, and my sister is a social worker who works with teens. My husband is a family doctor. I’m the only one who doesn’t work directly with people on a daily basis. Sometimes I wonder if my writing really matters. I deeply want to make an impact with my work. And while I enjoy writing and I’m good at it, sometimes I wonder if it’s enough. But then I read a blog post that makes me think about the world in a totally different way. I devour a novel that makes me question my beliefs. Or I hear a podcast that gives me hope and inspires me. They help me remember that what I’m doing matters, even if I don’t see the immediate impact of my work. The other thing that gives my work purpose is knowing that even if no one else reads my writing, the act of writing itself transforms me and teaches me. Especially when I write something honest and original. Writing helps me see things I need to pay attention to. And if my writing makes an impact on me, that’s powerful on its own. No matter what type of writer you are, at some point you have to experience rejection. I’ve had article pitches rejected. Clients have completely edited and changed articles I’ve written. Every time I send an email to my email list, a few people unsubscribe. Every writer I’ve read, even the best ones, have negative reviews on Goodreads. The most provocative, stirring articles always have people complaining about them in their comment sections. While being a writer has made me better at taking criticism and dismissing rejection, it still hurts. I still just want people to tell me they love what I’m doing. I don’t know if that’s ever going to change. On the other hand, the more I’m rejected, the more I realize that rejection doesn’t hurt me. My writing isn’t me, so when someone doesn’t like it, it doesn’t mean they don’t like me. And even if they don’t like me, that’s okay, too. My dog will love me no matter what. Getting comfortable with rejection lets me take more risks — both in my work and in my life. And that means I have a fuller life than I would otherwise. I could just binge on Netflix while eating Talenti gelato everyday, because I don’t have a boss other than myself. That means I have to motivate myself to get off the couch, sit down at my computer, and write. Sometimes, I just don’t have it in me to do that. Don’t get me wrong, if I have a deadline, I meet it. But if I don’t, it’s all too easy to procrastinate. It’s so tempting to clean my kitchen when I know I should be pitching to new publications instead. Sometimes I’d rather listen to a podcast and dream about being a successful writing teacher instead of doing the actual work of writing. And sometimes, I let myself off the hook. On the other hand, the fact that more often than not, I get off the couch and do my work means that I’ve built up a well of self-discipline I can draw from. I know that I do my work not because someone else told me to, but because I choose to. And that is a powerful realization. I’m pretty confident in my writer-ness most of the time. But I know plenty of people (maybe you?) who find a million ways to disqualify themselves. And if you write, even if it’s just in your journal, you are a writer. I promise. Despite all the hardships, I am still a writer. 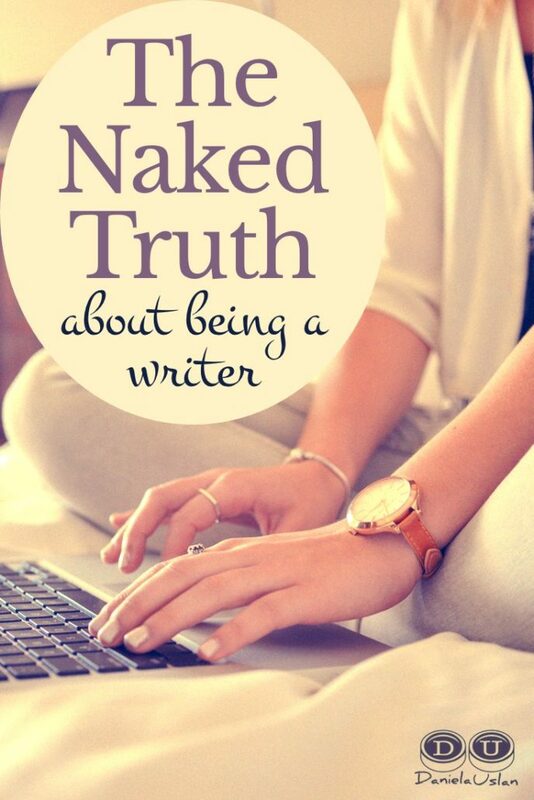 Being a writer is part of me, like being a woman or having curly hair. For better or worse, I’ll be a writer until I die. I believe that the dark forest of writing is just as important to acknowledge as the bright flashes of insight, the brilliantly written poems, the incredibly crafted articles. I think you may have experienced similar hardships to mine. And I want you to know I’m in the scary forest with you. We’ll get through this together. 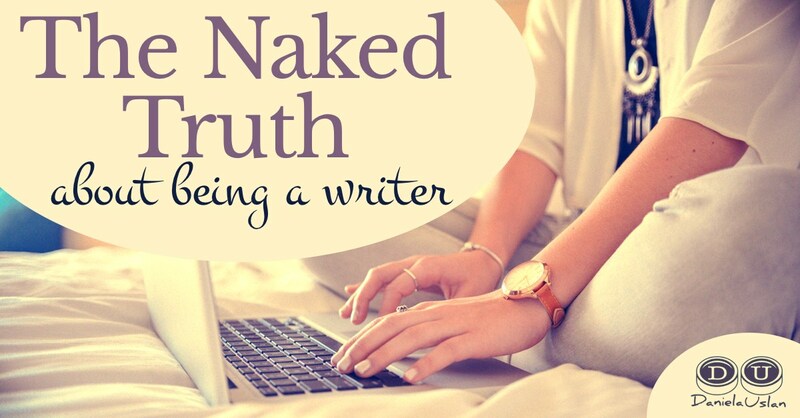 It’s normal to feel lonely, fearful, rejected, and frustrated as a writer. Listen to it. Let it out. Your voice wants to be heard.